In response to President Jimmy Carter’s February 1977 directive to curtail arms proliferation by selling only reduced-capability weapons to foreign countries, General Dynamics privately developed a modified export-oriented version of the F-16A/B designed for use with the outdated (but proven) General Electric J79 turbojet engine. Northrop competed for this market with its F-20 Tigershark. 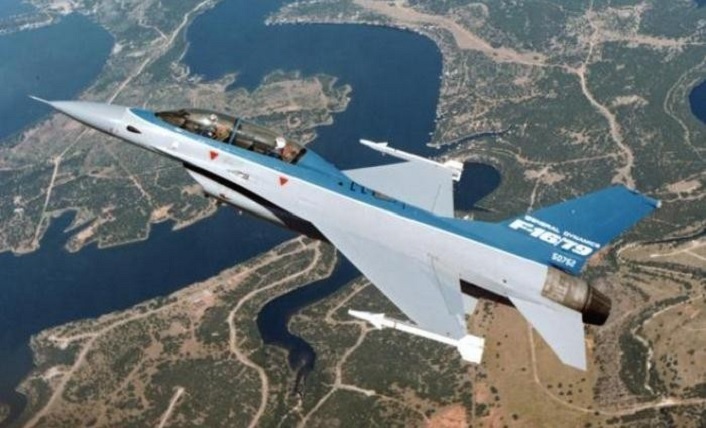 Market research had indicated the possibility of approximately 500 F-16/79s to replace the aging F-5s several nations were still flying, with development costs estimated at $20 million ($12 million for the prototype airframe and $8 million for three engines). According to Lou Drendel book F-16 Fighting Falcon in action, the version of the J79 proposed for use was the -17X, which was estimated to have at least 90% commonality with the dash 17 and 19 engines used in so many export Phantoms and Starfighters, which provided yet another marketing advantage, since many of the potential customers for the F-16/79 would have experience with, and possibly retain some spares, for the J79 engine. Accommodating the J79 required modification of the F-16’s inlet, the addition of steel heat shielding, a transfer gearbox (to connect the engine to the existing F-16 gearbox), and an 18-inch (46 cm) stretch of the aft fuselage. General Dynamics estimated that the per unit fly-away cost of the F-16/79 would be $1.2 million less than the F-16A. In the meantime General Dynamics international marketing team revised the possible market of 500 aircraft upward to over a thousand, with 20 different air forces identified as potential customers. First flight occurred on Oct. 29, 1980 with company test pilot James A. McKinney at the controls. 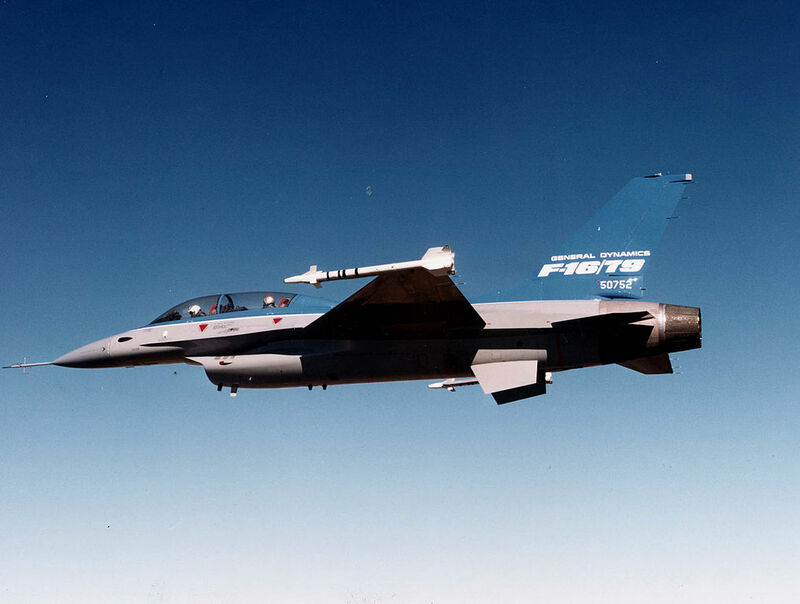 As the test program progressed, test pilots reported that the F-16/79 demonstrated the same 9G capability of the basic F-16. The area in which a major difference in capability existed was in acceleration, with the /79 requiring up to 30% more runway under similar conditions. Where it surpassed the F-100 engine’s performance was in acceleration to top speed. In fact the turbojet seemed to perform easily at or near Mach 2. South Korea, Pakistan and other nations were offered these fighters but rejected them, resulting in numerous exceptions being made to sell standard F-16s; with the later relaxation of the policy under President Carter in 1980 and its cancellation under President Ronald Reagan, neither the F-16/79 nor the F-20 were ultimately sold.